Ten years ago, when I first started writing on science and faith, Intelligent Design was a hot topic. It was in the news and high on the agenda for many in my local church. Today it has slid into the background, occasionally mentioned, but there are often other fish to fry. 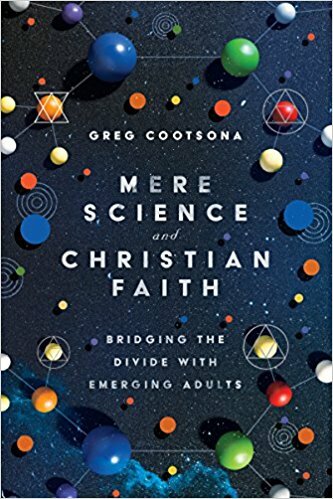 Greg Cootsona devotes a case study in his recent book (Mere Science and Christian Faith: Bridging the Divide with Emerging Adults) to the topic of intelligent design but not more than this because it is not one of the major issues for the emerging adults in his target audience. This book began with a question: Are the things of nature the product of mindless forces alone, or did creative reason play a role? The question is fundamental because so much hinges on it. Are humans worthy of dignity? Are they endowed with certain unalienable rights? If humans are the mindless accident of blind nature, entering and exiting the cosmic stage without audience, in a universe without plan or purpose, what right do we have to puff ourselves up and talk of human rights and human dignity, of meaning or value or love? In such a cosmos, love is but a function of the glands, honor and loyalty nothing more than instincts programmed into us by a blind process of random genetic variation and natural selection. Such a cosmos is ultimately meaningless, a chasing after the wind. At the heart of this book is a conviction rooted in reason and evidence: the evidence of nature points away from such a pointless universe and toward a universe charged with the grandeur of a design most remarkable. (pp 153-154). This is a sentiment with which I agree. I am a Christian because there is evidence within creation for a creator. The heavens declare the glory of God. The intricacy of a biological cell and the formation of a child likewise declare the glory of God. Remember that though all Christians believe that God is an intelligent designer, not all subscribe to the particular paradigm of Intelligent Design. This is an important point. our belief in God as an intelligent designer is not based on scientific evidence for design. It is based on self revelation, the relationship of God with his creation, testified to in experience, the church and in Scripture. ID has not been sustained scientifically. So be careful of promoting it. … At the same time it is worthwhile to engage those thinkers who are convinced by ID and find out their reasons why. We do harm when promoting questionable science and also by shutting down comment without engaging the ideas. Michael Behe’s ideas on irreducible complexity are not holding up to examination – but the engagement has been profitable in a number of ways. It has also been valuable to wrestle with the philosophical and theological questions that have been raised. We need to be careful of seeking more from the book of nature than it offers. As far as the sciences can tell us, there is no empirically detectable proof for God’s creation or existence. Science can neither prove nor disprove the existence of God. It simply isn’t a question amenable to these methods of investigation and reasoning. Is Intelligent Design still a question in your churches? You may also comment on Intelligent Design Revisited at Jesus Creed. This entry was posted in Intelligent Design, Science and Faith and tagged Greg Cootsona. Bookmark the permalink.